The Teal and Violet Bands have been sailing full steam ahead (wow, the number of water-related puns are unbelievable) these past two weeks. 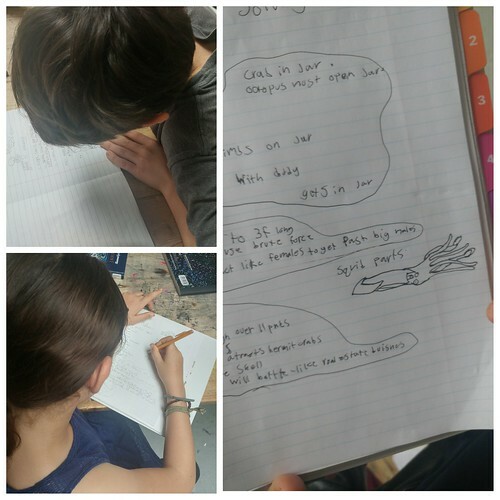 We have dedicated ourselves to studying sailing and beginning to explore marine biology. 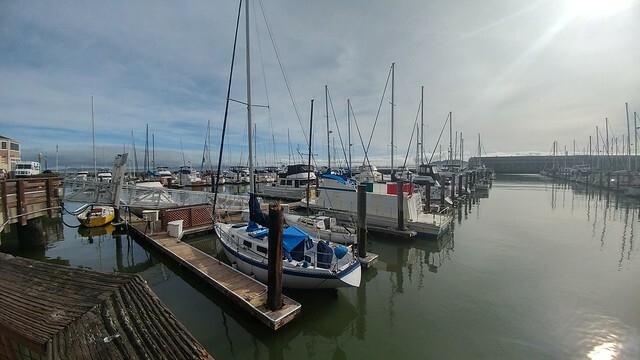 In preparation for our sailing trip on the Bay, we spent a day with the crew at The San Francisco Sailing Club. They taught use how to tie a number of important sailor’s knots, including the bowline and figure eight. By the end of the lesson, there were a number of the kids tying the bowline with their eyes closed or even behind their backs. 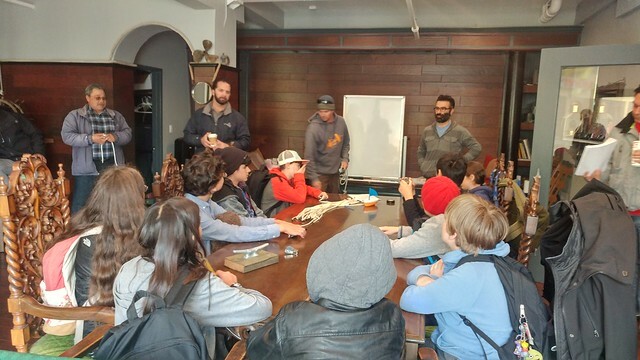 A lesson on knots and sailing from the crew at The San Francisco Sailing Club. Learning to tie bowline knots. 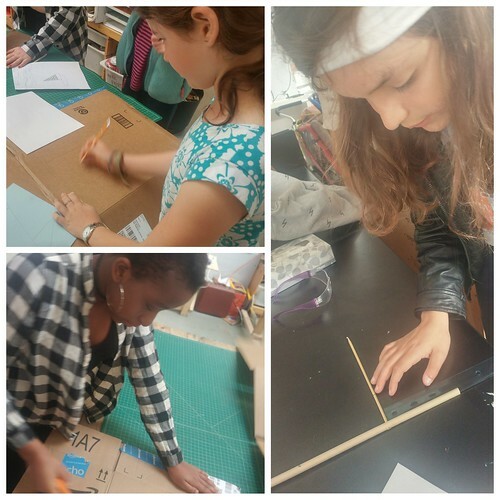 They explored the parts of a sailboat and the number of different sailboats there are, based on the number of masts, placement of masts, and sails. Since sailboats rely on the wind to move them forward, it is important to understand the placement of the sails in relation to the wind and the intended direction of the boat. To learn this, the crew taught the bands about points of sail. As a sailboat relies on wind, a sailor most know the points of sail. 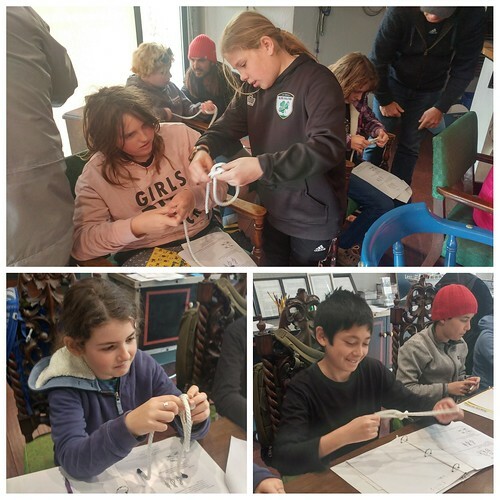 Following our field trip to the sailing club, the bands worked in groups to expand their understanding of the points of sail. 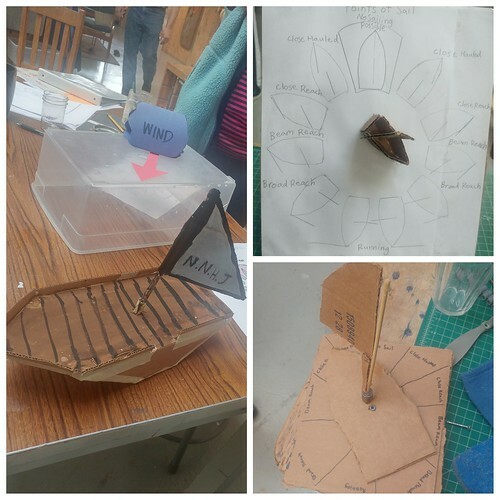 Each group was tasked with making a simple 3D interactive model, made mainly out of cardboard, that would allow the user to position both the boat and sails depending on the wind and intended direction of the boat. It’s pretty incredible to figure out how you can use the wind to sail almost into it, but they’ll tell you, not directly, we don’t want flags for sails. 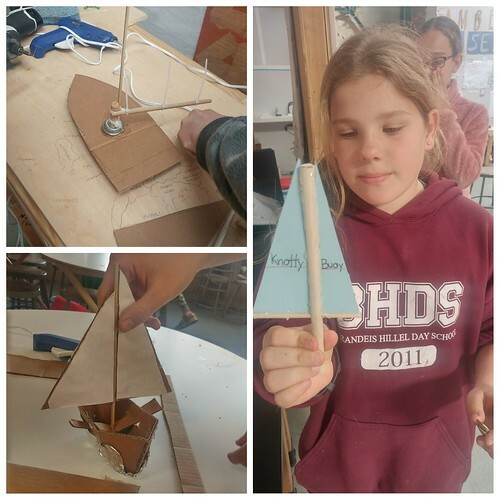 Creating models to teach the points of sail. 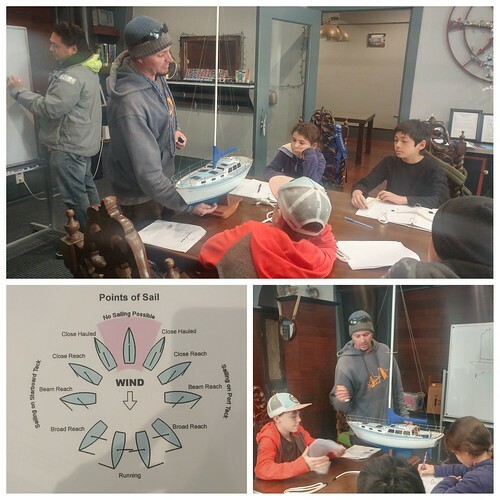 Points of sail models act as interactive teaching tools. 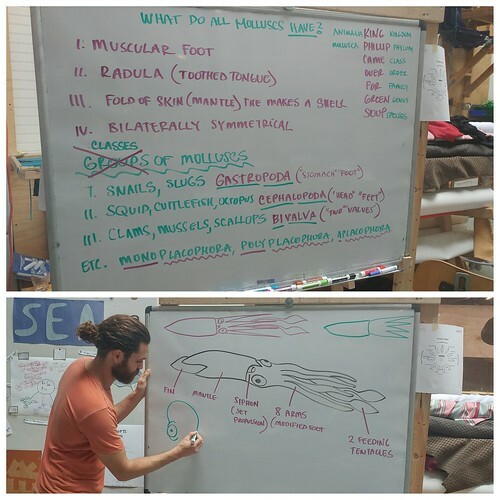 Exploring the phylum Mollusca, specifically squid. 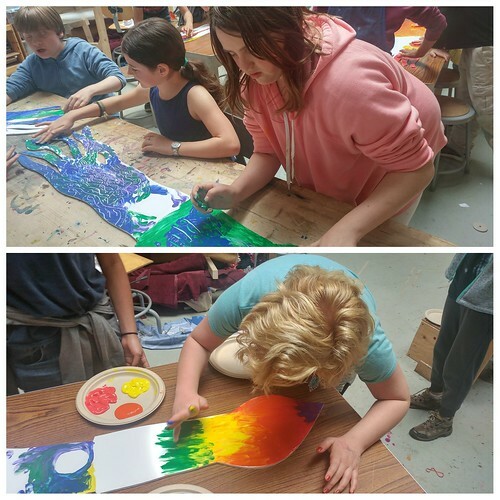 Feeling a bit creative, the Teal and Violet bands painted their own giant squid. Hopefully soon, we’ll have an entire sea of creatures swimming over the dining room. 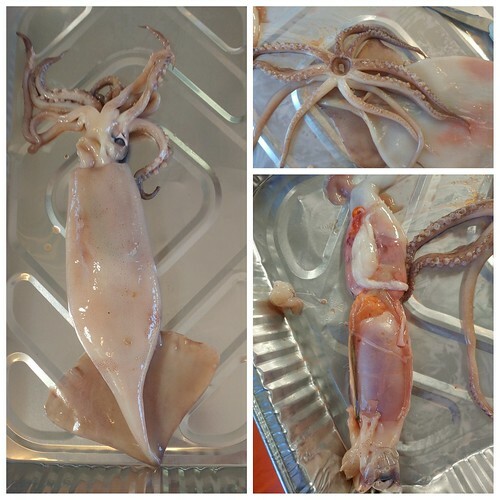 We spent Monday morning getting our hands dirty (and a bit stinky) dissecting squid. 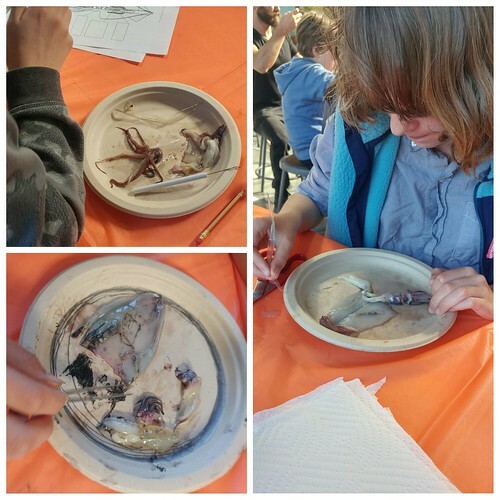 We explored the exterior and interior anatomy, locating a number of parts including the gills, beak, gonad (yup, we could differentiate the females and the males,) ink sac and pen. It was pretty incredible to dissect the eyes as well, locating and removing the spherical lens. Squid dissections are pretty exciting because they also end with a delicious treat, fried calamari. The entire school was excited to enjoy it with us. 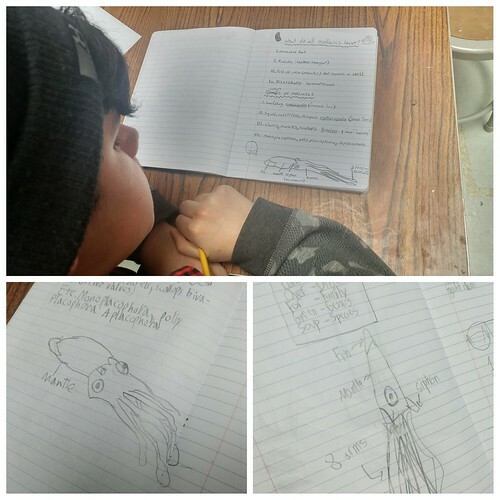 Exploring the interior anatomy of squid. 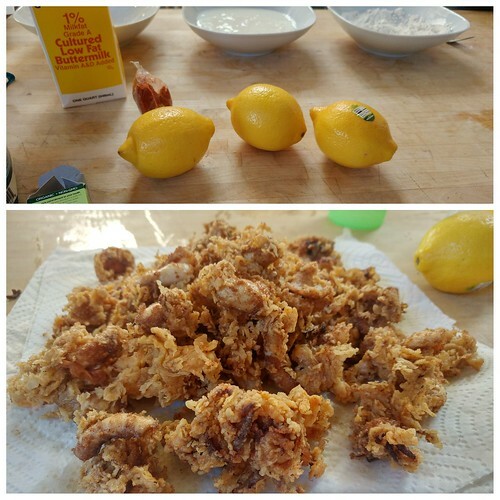 Bonus treat from squid dissection: fried calamari. 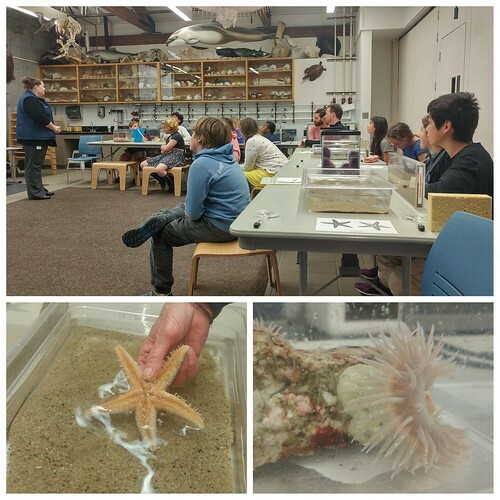 On Tuesday, we journeyed down to the Monterey Bay Aquarium for a lesson on the adaptations of a number of invertebrates that live amongst the waves. 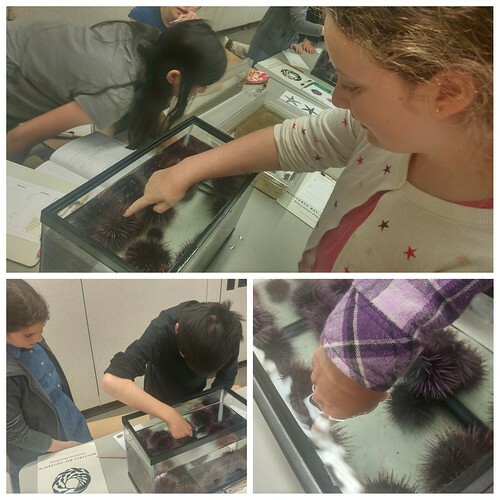 They looked at how the sand star and urchin have adapted to protect themselves in coastal areas, regularly beaten by waves, using small suction feet. They also explored how organisms such as sand crabs and anemones use the movement of the waves to their benefit of acquiring food. After our class, we got to take in all the incredible exhibits at the aquarium. Make sure to read to the bottom for a view of my favorite. 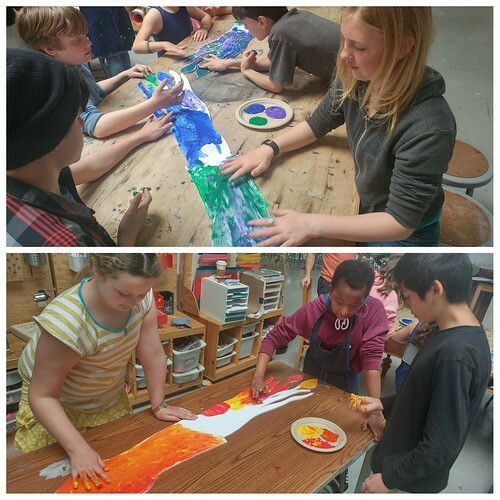 Exploring the adaptations of the sea life that live and thrive among the waves. 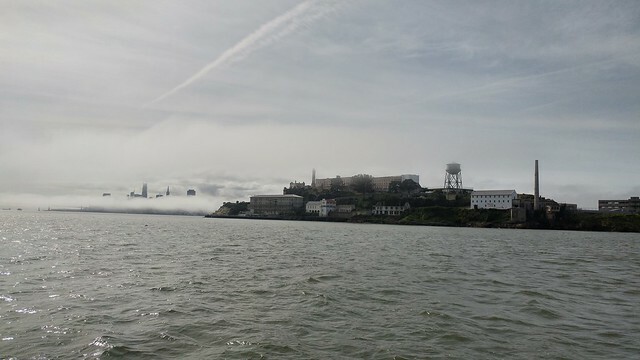 On Thursday, we got out on the water with the San Francisco Sailing Company. 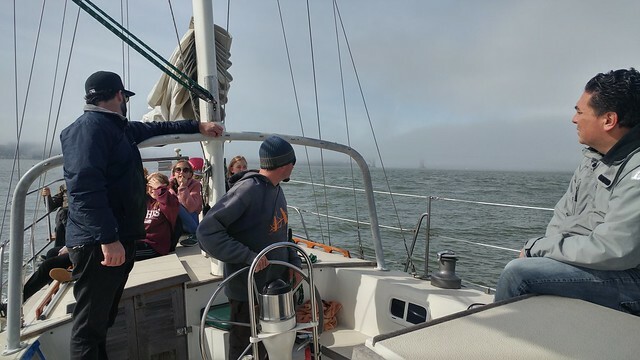 We all piled onto the 28′ Santa Maria and set sail for the Golden Gate (unfortunately, the fog kept us from making it all the way to the bridge.) As we navigated the waters, the crew would regularly quiz the bands on our point of sail. It was truly impressive how many of them really understood the concept. 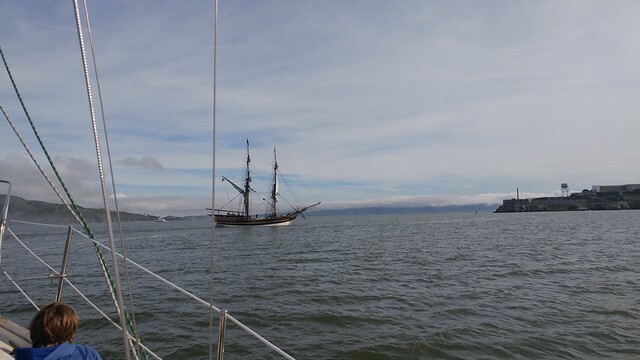 During our trip, we came across a square sail replica tall ship, rode the quake of a number of larger boats, and traveled under the Bay Bridge. 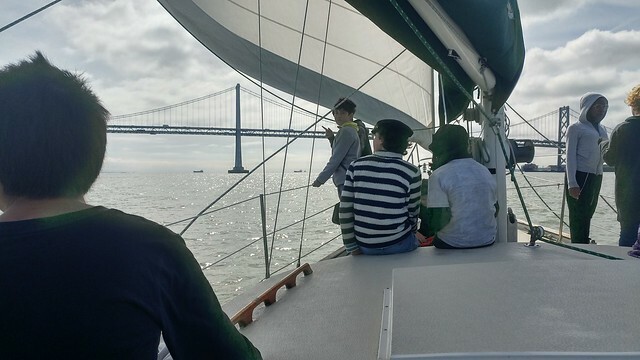 Sailing with the San Francisco Sailing Company. And I shall leave you with the reason I love visiting the Monterey Bay Aquarium…the jellyfish. 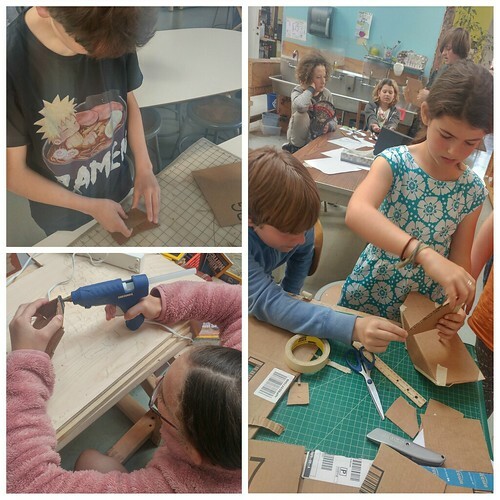 This entry was posted in brightworks, Teal Band, Violet Band and tagged arc: By Sea, bowline, dissection, knot tying, knots, Monterey Bay Aquarium, points of sail, sailing, squid. Bookmark the permalink.